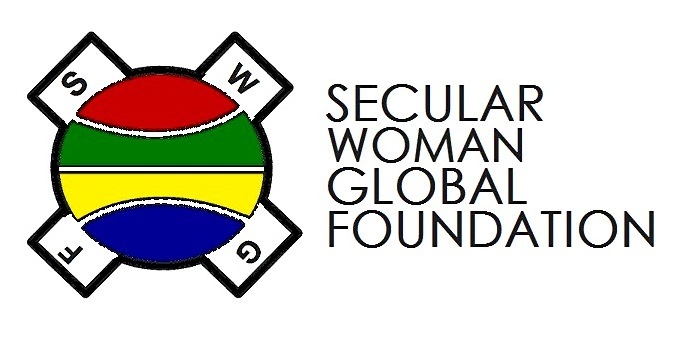 Secular Woman Global Foundation is the parent outfit from which Secular African Society is derived. Here’s its first ever logo. It was initially founded as Secular African Society but has since been expanded to include Secular African Society and a number of other sister outfits. While the organisation’s original publications are copyrighted under Secular African Society, the copyright, name, literary and activist works are all entrusted to Secular Woman Global Foundation. #SWGF ©2014. Secular African Society. All Rights Reserved. My people are going to learn the principles of democracy. Those who use religion for their own benefit are detestable. The United Kingdom is today known and equally lauded for defending and upholding values of women’s rights. The U.K however wasn’t always this way. England, which is the eco-demographic hub of the U.K (housing 100 of Europe’s 500 largest corporations, accounting for 84% of the combined total of the U.K’s population, and upon whose legal system, developed over centuries, is the basis of Common Law the world over) at one point promoted laws that persecuted women simply for being women! Women were burt alive for killing their husbands (even when done in self-defence), practicing “witchcraft”, defying orthodox status quo by seeking academic pursuits and independence, demanding the rights to sue and to own property. Uncannily, men who did the same or similar were vindicated by order of the very same cumulation of ancestral and fundamentalist religious tradition! Secularism 101: What is Secularism? Below is an article that proffers a definition of what Secularism is and differentiates it from what it isn’t. Secularism is often touted as a space purely for Atheistic congregation, but Secularism, in truth, does not merely mean freedom from religion. Secularism is both freedom from religion and freedom of religion. Secularism is important in any civilisation because it creates a space for both the religious and irreligious to relate in a common language that both understand. This space does not inevitably culminate in persecution – as the theocratic space does – just because one does not speak in the same tongue as another’s deity. While Secularism is respectful of pluralism, a Theocracy sees the world only through the authority and the lens of a chosen deity.